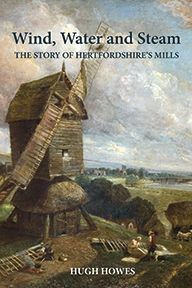 In this authoritative history of Hertfordshire's great parks, Dr Hugh Prince considers the cultural, political and economic influences on their changing fortunes over the past 500 years. Over the centuries, the county's proximity to the capital proved particularly attractive to ambitious and acquisitive newcomers, with great houses and their parks changing owners at a rapid rate. When it came to the design and development of their parkland, landowners followed the prevailing fashions. In the sixteenth century Hertfordshire's landowners kept in step with the courtly enthusiasm for deer-hunting, establishing parks suited to this pursuit. Having endured the ravages of the Civil War, they were able, in the eighteenth century, to embrace the golden age of landscape gardening, heralded in Hertfordshire by the arrival of Capability Brown at Beechwood in 1753. 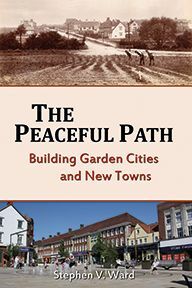 It is against this vivid backdrop that Hugh Prince examines in detail the business of managing parks as crucial elements of landed estates and establishes the special role played by parks in the display of landowners' power. 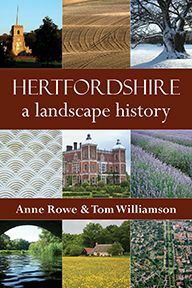 Illustrating the developments of each era with fascinating accounts of the county's numerous parks, including Hatfield, Moor Park and Knebworth, Dr Prince also undertakes close analysis of cartographical sources from each period. It is hard to avoid the conclusion that Hertfordshire's parks are now in decline. The great private parks of yesteryear are now to be found divided piecemeal between golf courses, schools and hotels, sold off as real estate, or precariously maintained as tourist attractions for those seeking out the last vestiges of Hertfordshire's parkland heritage. 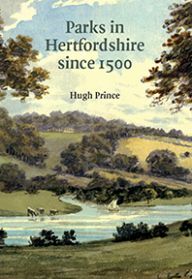 Parks in Hertfordshire since 1500 provides a fitting record of the county's green spaces and allows us to understand the history that shaped them. Hugh Prince was Reader Emeritus and Honorary Research Fellow in the Department of Geography at University College London. He passed away in 2013. 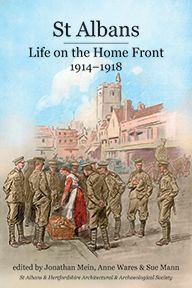 Contact us at UH Press if you have any queries or would like to find out more about this book.